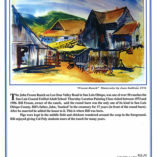 156 pages of full color artwork of local ranches. Every ranch has it’s own story to tell. Several ranches in this book have been updated. Some ranches continue to operate as cattle ranches, while many others have disappeared. 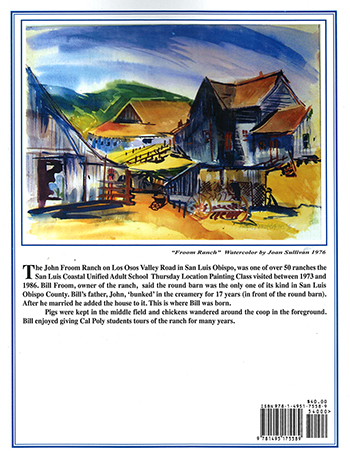 Rounding up the ranches is an attempt tp preserve the history and local culture of San Luis Obispo County ranches. It is a testament to an ongoing love affair with the old west and traditional rural way of life in America. It all began with a Joyce Pike workshop in 1971. It is a collection of paintings, drawings, photographs and interviews, that were created over 13 year period from 1973 to 1986. Every ranch has it’s own story to tell. 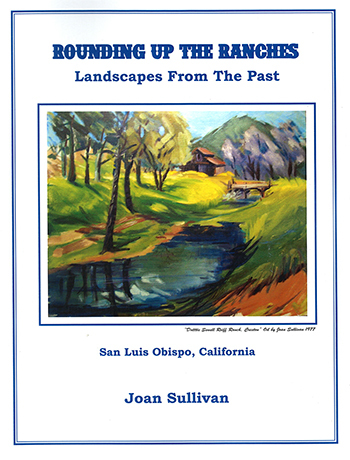 Several ranches in this book have been updated. Some ranches continue to operate as cattle ranches, while many others have disappeared.